Expected for ages by iPhone users, Sony's Remote Play application is finally available on iOS. This free application literally allows you to enjoy the PS4 games in your library directly on your iPhone or iPad. Remote Play has long been available on other platforms (Windows, macOS, Android). iPhone users, who have been left behind for so long, can finally enjoy it. As on the platforms mentioned above, the application allows you to play PS4 titles on your iOS device. It is a tool for streaming PS4 games on the iPhone. The application therefore requires a good connection for a satisfactory result. Unfortunately, unlike Android, it is not possible to connect a PS4 Dualshock controller to the iPhone to control the application. The controls are displayed directly on the screen as touch buttons. Sony did not indicate whether the application was compatible with mFi controllers. 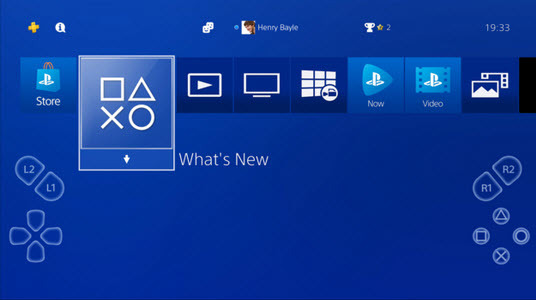 To take advantage of this new feature, you must first install the 6.5.0 update of the PS4 system and have a recent iPhone (at least the iPhone 7, or the 6th generation iPad). How to run Apex Legends on iOS? Even though Apex Legends is not yet available on iOS, it is already possible to launch the game on your iPhone using the PS4's remote playback feature. Also to be read: How to play Apex Legends on Android? 1. After updating your PS4, go to the Remote Playback Connection Settings to enable remote access. 2. Also make sure that your PS4 is defined as the main PS4 in your Account Management Settings. 3. The third step is to go to the "Power Management Settings", then to "Define the features available in standby mode". You will then check the boxes "Stay connected to the Internet" and "Allow PS4 to be activated from the network". 4. Download Apex Legends from the Playstation Store. 5. Download the PS4 Remote Play application from the App Store to your iPhone or iPad. 6. Launch the application and enter your PSN (Playstation Network) IDs. All you have to do is launch Apex Legends on your iPhone. The trick obviously works with any other PS4 game. Eclipse Isle is a game halfway between the MOBA and the royal bat with high quality graphics and characters with a Japanese look.